Wholesale pricing available to qualified buyers: To qualify to receive wholesale pricing contractors must fill out and submit a new customer information form along with their tax ID or Social Security Number. Both forms are available to download on the right hand side of this page. Forms must be received before wholesale pricing is granted. Royalton Supply has been servicing and maintaining relationships with commercial clients in North Royalton and surroundings areas for over seven years. 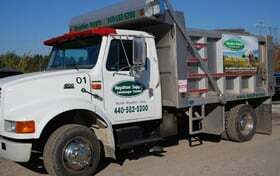 It is our goal to make sure our contractors receive the best service possible. With our spacious yard and well trained staff we promise to provide you the convenience of fast and easy service. 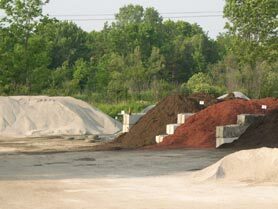 Yard waste may be dropped off for $10 per yard. 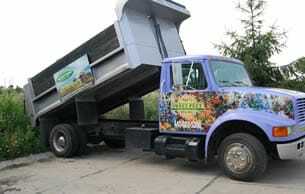 We accept yard waste from commercial and retail customers. * Brush & Branches: Do Not Mix with grass & leaves, no branches longer than than 3ft in length & no bigger than 8″ in diameter. No stumps or root balls. Please keep items separate in the appropriate pile, we do not accept mixed waste. If you have items listed below that we do not accept please take them somewhere else.